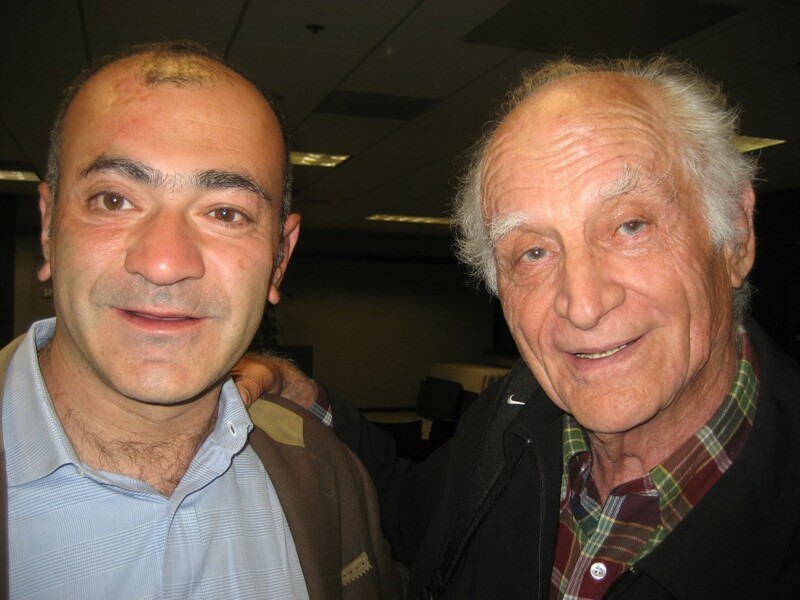 Alain Calefas, Serenity Valley founder, with Michel Serres at DBF, a networking organization for French entrepreneurs, on November 2, 2009. That day, Alain Calefas was interviewed by Jean-Louis Gassée (who co-founded DBF in 1994). Alain Calefas graduated from the French Ecole Polytechnique, arguably one of the most elitist schools in Europe. To get in, you have to excel academically – period. But when you combine intellectual acumen and a desire to live life to the hilt, you have Alain Calefas. His first passion was Marine Engineering, so from Paris, he went to Berkeley – and fell so much in love with Northern California that he stayed… To accommodate this passion as quickly as possible, he decided to manage two “boulangeries,” a fairly novel idea at the time (in the mid-eighties, the Valley was not nearly as sophisticated as it is today in the food department). But granted, the enterprise wasn’t really scalable. So, reason winning over passion, Alain went back to Europe where he headed innovation and strategic investments at Rhône-Poulenc for four years. “A great experience,” he says, yet frustrating at times. No matter how hard large corporations may try, the truth of the matter is that you can’t generate inventors by simply asking people to become ones.” But you can always reinvent yourself and that’s what Alain did at a time he was on track for prestigious corporate positions. So Alain went back to the sea and, finally, ended up on the firm land, discovering as many did in the early nineties the complex rubble of the ex-Soviet Union as well as the places of his ancestors, realizing through rich personal experiences that whatever you do, what matters is the quality of the relationship that you build with people. In fact, “I really understood that despite my natural bent towards science and high-tech, people are what mattered the most to me.” So when he came back to Paris, he created a variety of businesses that went well, bars, restaurants, and even a clothing store. 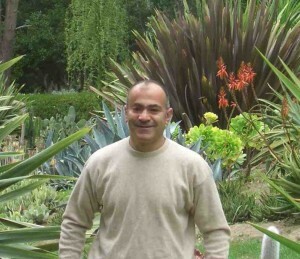 Living in Paris again, though, made him miss his favorite place: Northern California – and he moved back in 1997. 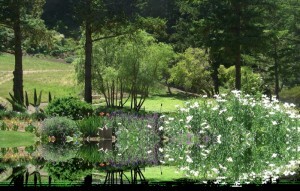 High tech was booming, but this time, what he wanted most was a place to settle and he bought 65 acres in Pescadero, which he transformed into a spectacular botanical garden and one of the most remarkable places you can imagine to host events (from business retreats to weddings) just on Silicon Valley’s doorstep: Serenity Valley. Business retreats often take us to great resorts, yet sometimes so far away from home that they often feel like just another business trip. Worse, these places are sometimes so abstractly international, with the same types of lithographs on the walls, the same style of furniture, the same manicured patches of garden that nobody looks at, that nothing stimulates the brain. So business retreats are just business as usual, or the nicest entertaining events a “unique” experience that clones the previous one and foreshadows the next. Oppositely, Serenity Valley is a phenomenal expanse of nature where ecological balance means what it is, an ever-changing dynamics that fosters the ability for people to rebuild and reinvent themselves, without straining themselves. The ability to breathe is sometimes the first step to be able to think! Incidentally also, when your host has traveled the world, is an amazing connoisseur in food, wines and art, it’s an out-of-this-world experience to just be next door. This is the most splendid place I have ever seen for an event. Alain is cultured, yet knows the tradition of a home feel. It is a spectacular moment of breathtaking beauty with all the advantages of modern technologies.